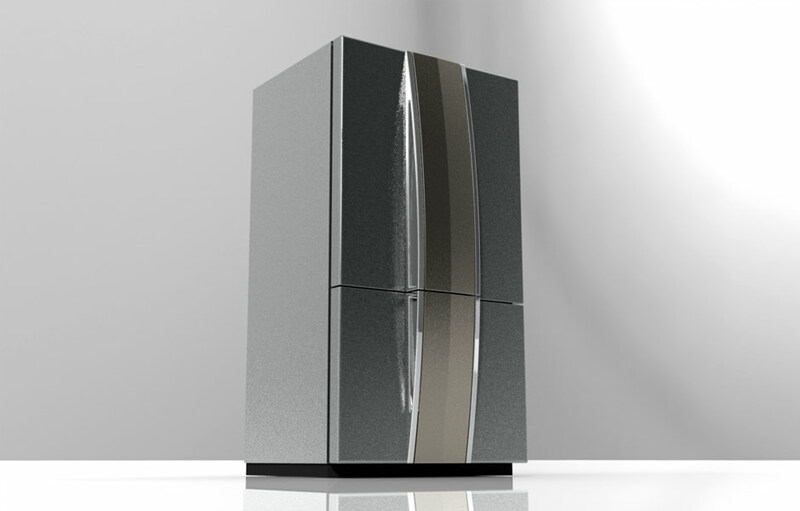 This was a call for concept submission from LG for new and innovative appliances design experiment. Our design team was a part of a call for entry for new design approach experiment from LG. It is known that once a consumer is planning to equip his/her kitchen with new appliances, they try to have uniformity with all appliances so they look and feel the same. In the kitchen, the refrigerator is the most used appliance by all members of the family and it is in away, the center of the kitchen. We believe that we can/should give the refrigerator much more attention and stop hiding it behind wood panels and blend it to be as flat as possible so no one will notice it. In fact we would like to turn the refrigerator to a centerpiece with aesthetic appeal to be proud of. We propose the Spine Design Style. 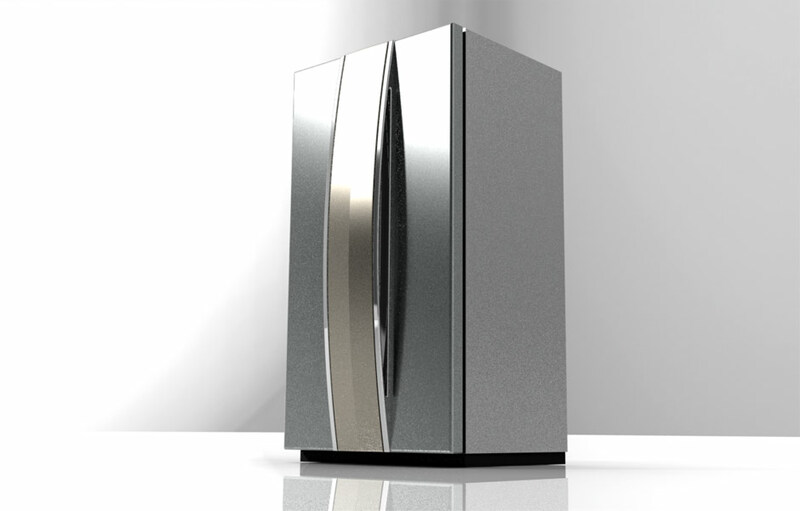 The spine design utilizes a large center protrusion from the front of the doors, accentuating this appliance as a central peace that adds beauty and grace to the kitchen. 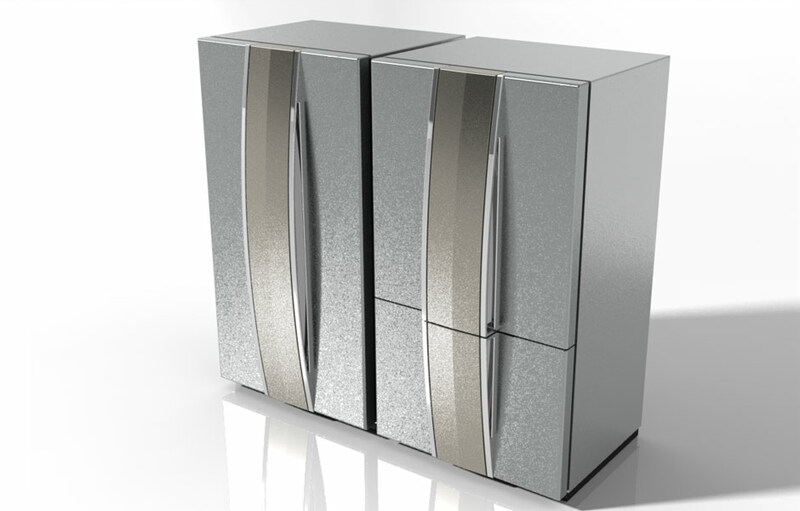 In our proposed design, the center spine width is almost a third of the overall width of the refrigerator. The spine has a nice slightly beveled center surface which will reflect lights in both directions and create a unique high tech clean design effect. The center Spine will have the handles embedded on the sides. In other kitchen appliances we can use the same center Spine design and we can possibly use the center Spine for buttons, knobs and control panels.